Compete this week in CC Event #97 to win these goodie basket tees and flags. Play now through Fri, 4/19 with your club against other clubs to win these and other in-game rewards like Course Builder currency for the top 500 clubs to create custom courses. Don't know what Course Builders and custom courses are all about? Learn more here. PS, did you know: You can earn up to 2X Country Club XP, carry even more CC Passes and generate Passes faster with a WGT Plus or Premier Membership? Upgrade now and the benefits last for an entire year! 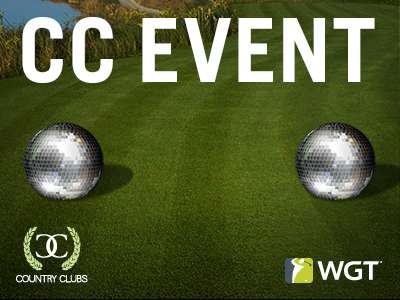 CC Event #97 runs 4/18-4/19 with multiple 4-hour Clashes, so be sure to play as many games as you can for your club and keep your eyes on the leaderboard. 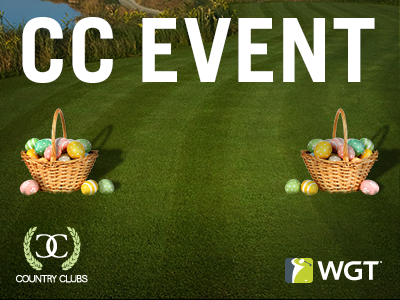 CC Events allow WGT Country Clubs to compete against each other for bragging rights and special in-game rewards. The club that earns the most total points from their Clashes wins! Here's how it works: Each event is made up of Club Clashes which last for a limited amount of time (usually a few hours). When your club enters the event, you'll be matched to play with a similar skill level club. Start playing! A timer will keep track of how much play is left in that Clash. Club members from both sides can play as many rounds as they'd like during that time using Club Passes and Superpasses to earn points. 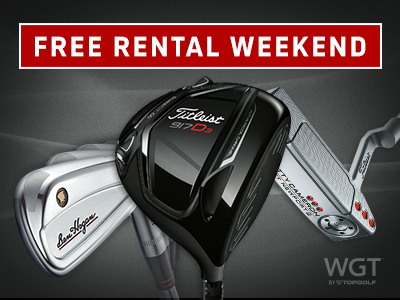 Get free club rentals on WGT this now through Sunday during the Masters! While you're following the action at Augusta, try out virtual clubs on WGT like the new Callaway Apex 19 Irons, Odyssey Stroke Lab R-Ball S Putter, Callaway Epic Flash Driver, Titleist clubs, or any of our other popular virtual equipment you've had your eye on. To rent clubs, just find the club you want in the Pro Shop, click the RENT or TRY ME button and it's yours free for 24 hours. You can rent as many clubs as you want for free during the promo, Fri-Sun 4/12/19-4/14/19. 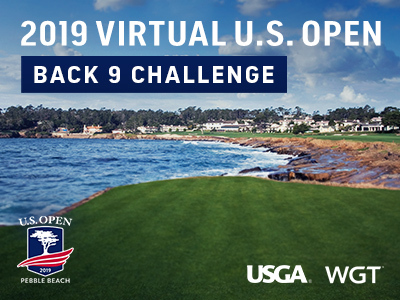 The Virtual U.S. Open continues with the Back 9 Challenge tournament, going on now! Compete on the back 9 holes of Pebble Beach, host of the 2019 U.S. Open, in this 9-shot closest-to-the-hole tournament on WGT for an early look at the championship course. Play as many times as you want to post your best score and for your chance to win a $500 USGAshop.com gift card. Both the top leaderboard score and a lucky sweepstakes winner chosen at random will get one! *Tournament is free to enter and open to all WGT players, but only eligible countries can win prizes. See rules for details and eligibility. 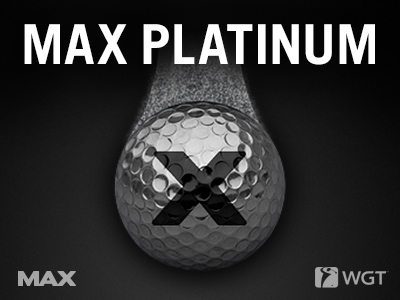 Get 3 free MAX Platinum Vapor balls today when you buy 2,000 or more WGT Credits! These top-performing golf balls are great for overall game improvement, adding more distance and control to your shots. Plus, the platinum vapor trail makes all your shots easier to track through the air. Use your WGT Credits to upgrade your virtual equipment and compete in paid games for prizes. Note, the free MAX virtual golf balls will automatically be added to your inventory but not automatically equipped. To use them, just open your Equipment and equip the new MAX Platinum balls from your inventory. *Special offer for players that buy 2,000 or more WGT Credits now through 3/29/19 and get 3 free MAX Platinum Vapor virtual golf balls (L0+). Offer valid on one 2,000 or more WGT Credit purchase only. Get more distance and consistency from your irons to improve your game and lower your scores. 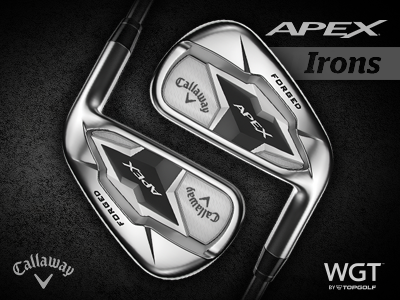 The Callaway Apex 19 Iron Set is available now in the WGT Pro Shop, unlocking at Level 30, Level 52 and Level 85. Add more control and consistency to your putts for an overall performance improvement on the green. 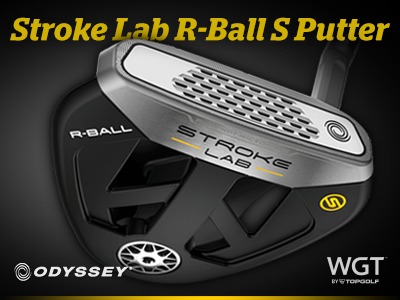 The Odyssey Stroke Lab R-Ball S Putter is available now in the WGT Pro Shop with meter increments of 15, 30, 60, 150 and 300 ft, unlocking at Level 10 (great for beginning players! ), Level 40 and Level 74. 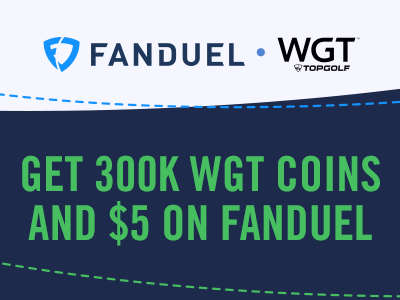 We recently added a new way to earn WGT Coins on WGT Golf Mobile, in partnership with FanDuel! Enter the new 3-hole FanDuel coin room with an entry fee of 100,000 coins to compete head-to-head against another WGT player. Once you complete the game, you'll have a chance to earn 300,000 coins and a FanDuel bonus when you sign up and play your first FanDuel Contest. To play, log on to WGT Golf Mobile and tap the green PLAY NOW button, then swipe to find the FanDuel room. 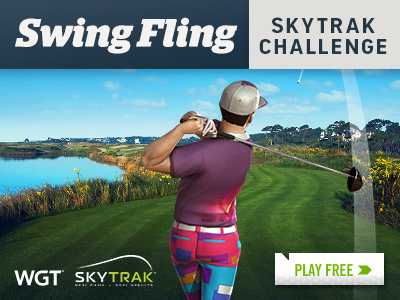 Starting 3/30, compete in the Swing Fling SkyTrak Challenge for a chance to win a $50 Amazon gift card. Play as many times as you want to post your best score in this special stroke play tournament, through 4/16. Both the top leaderboard score and one lucky sweepstakes winner chosen at random will each win a gift card prize! The Virtual U.S. Open continues in April with the Back 9 Challenge tournament. Starting 4/1, compete in the second tournament of this year's Virtual U.S. Open on Pebble Beach, host of the 2019 U.S. Open Championship. The road to the Virtual U.S. Open Qualifier (coming in May!) continues with this 9-hole closest-to-the-hole tournament on Pebble Beach course, where you can play as many times as you want to post your best score. Both the top leaderboard score and a lucky sweepstakes winner chosen at random will each win a $500 gift card to USGAshop.com. Right now select iron sets and putters are 25% off in the Pro Shop, through Wed, 3/27. 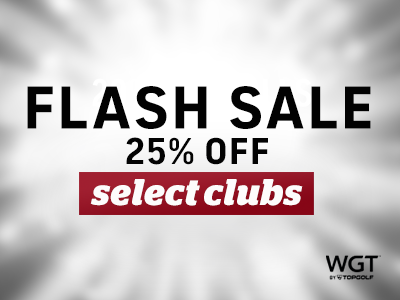 All virtual golf clubs included in the flash sale are being removed from the WGT Pro Shop next week, so if you've had your eye on any of them or just want to make sure you have them in your bag, don't wait! *This flash sale applies to virtual golf clubs that are being removed from the Pro Shop, available now through 3/27/19. Available on WGT.com and WGT Golf Mobile. Compete today through Fri, 3/22 in CC Event #95 for these flashy tees and flags. Play against other clubs to win these and other in-game rewards like Course Builder currency for the top 500 clubs to create custom courses. CC Event #95 runs 3/21-3/22 with multiple 4-hour Clashes, so be sure to play as many games as you can for your club and keep your eyes on the leaderboard. Free Green Beer for St. Patrick's Day! Log in today and get free Beer Ball Effects to celebrate St. Patrick's Day! Play today through Sun, 3/17 and we'll give you 50 free hits of the Beer Ball Effect -- featuring a limited time green beer vapor trail especially for the occasion. Your free gift will automatically be added to your inventory, just click the ball effects icon (magic wand) in-game to turn it on or off. PS: Green beer also makes a great gift! 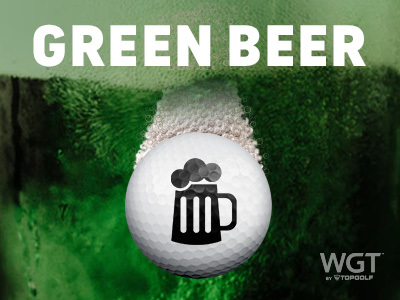 You can send any of your WGT friends a Beer Ball Effect (that will be green right now for a limited time) as a virtual, "Cheers!" Find it here in the WGT Pro Shop. *Special offer available to WGT players that log in and play between 3/16/19-3/17/19, get free Beer Ball Effects (50 hits). 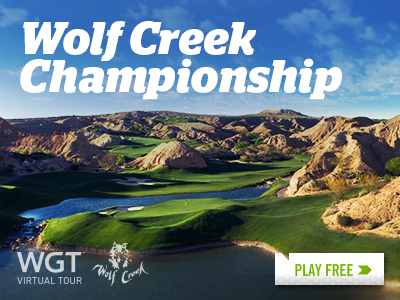 Play in the Wolf Creek Championship Major this month as part of the 2019 WGT Virtual Tour. This is the final tournament of the Jan-Mar Quarterly Season, with an increased purse prize of 250,000 WGT Credits. Post a score in the unlimited play first round (3/1-3/25) followed by two single-play rounds (3/26-3/28) and 3/29-3/31), with the top 70 combined scores in each Pro- Tour Champion tier splitting the total purse prize. Plus, the winning players in each Pro-Tour Champion tier of each monthly tournament will display a new "reigning champion" icon next to their player name through the following month. *Open to all WGT players, see rules for details. 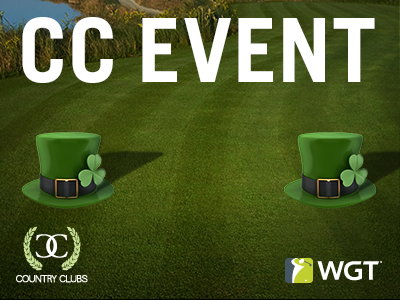 Compete this week in CC Event #94 for a chance to add some lucky tees and flags to your game. Just ahead of St. Patrick's Day, round up your club members to win these leprechaun hat tee markers and flags. CC Event #94 runs 3/7-3/8 with multiple 4-hour Clashes, so be sure to play as many games as you can for your club and keep your eyes on the leaderboard.